Dorothy Alexander's great-grandmother's father was killed in the Mauricewood coal pit fire in September 1889. He was one of 63 men and boys who lost their lives in the tragedy, many of whose bodies could not be removed and buried until the following March. The novel recounts the disaster from the dual perspective of eight year old Martha, the daughter of miner Davie, and his wife Jess. The clever structure pays tribute to the oral tradition with the accounts told as monologues without dialogue. These are interspersed with factual information about the mine and the inquiry, powerfully contextualising their perspective within the factual narrative. 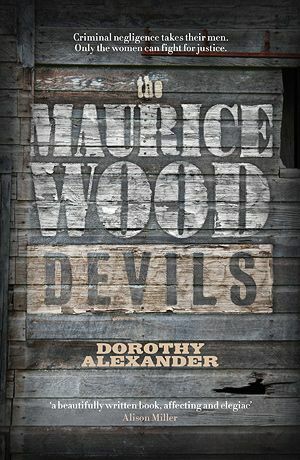 The Mauricewood Devils is meticulously researched, creating a detailed picture of East Lothian life in the late 19th century. Living in the mining community, Jess bears witness to both her personal loss and the collective as new widows support each other in their grief. As bodies are brought to the surface we learn details of the men's personalities, their quirks and family life in a story that is as much a testament to human kindness as it is a powerful insight into the staggering devastation of so much loss. Out Thu 18 Feb, published by Freight Books.